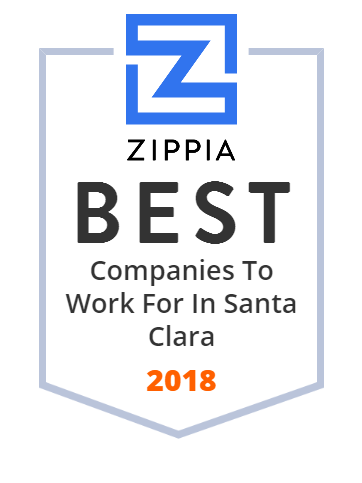 We hand-curated a list of the best companies to work for headquartered in and around Santa Clara, CA using data on salaries, company financial health, and employee diversity. Palo Alto Networks, Inc. (abbreviated as PAN or PANW) is an American multinational cybersecurity company with headquarters in Santa Clara, California. Its core products are a platform that includes advanced firewalls and cloud-based offerings that extend those firewalls to cover other aspects of security. The company serves 50,000+ organizations in 150+ countries, including 85 of the Fortune 100, and is listed 15th in the Fortune Future 50 Challengers list. It is home to the Unit 42 threat research team and hosts the Ignite cybersecurity conference. In June 2018, former Google and SoftBank executive Nikesh Arora joined the company as Chairman and CEO. Chegg, Inc. is an American education technology company based in Santa Clara, California, that used to specialize in online textbook rentals (both in physical and digital formats), and has moved into homework help, online tutoring, scholarships and internship matching. It is meant to help students in high school and college. It also owns citation services EasyBib, Citation Machine, BibMe, and Cite This For Me. The company was created in the United States by three Iowa State University students in 2001 and was founded by entrepreneur Aayush Phumbhra. The name Chegg is a portmanteau of the words chicken and egg, based on the founders' experience after graduating from college; they could not land a job without experience, but could not get experience without a job. Move, Inc. is a real estate listing company based in Santa Clara, California. The company operates the Move Network of real estate websites, the largest of which is Realtor.com. Move has a longstanding partnership with the National Association of Realtors, the real estate industry's largest trade association, for operating Realtor.com. Nvidia Corporation (/ɛnˈvɪdiə/ en-VID-ee-ə; more commonly referred to as Nvidia, stylized as NVIDIA, or, due to their logo, nVIDIA) is an American technology company incorporated in Delaware and based in Santa Clara, California. It designs graphics processing units (GPUs) for the gaming and professional markets, as well as system on a chip units (SoCs) for the mobile computing and automotive market. Its primary GPU product line, labeled "GeForce", is in direct competition with Advanced Micro Devices' (AMD) "Radeon" products. Nvidia expanded its presence in the gaming industry with its handheld Shield Portable, Shield Tablet and Shield Android TV. The Hortonworks data management platform and solutions for big data analysis is the ultimate cost-effective and open-source architecture for all types of data. Since September 19, 2017, Hitachi Data Systems has become part of Hitachi Vantara, a new company that unifies the operations of Pentaho, Hitachi Data Systems and Hitachi Insight Group. Applied Materials, Inc. is an American corporation that supplies equipment, services and software to enable the manufacture of semiconductor (integrated circuit) chips for electronics, flat panel displays for computers, smartphones and televisions, and solar products. The company also supplies equipment to produce coatings for flexible electronics, packaging and other applications. The company is headquartered in Santa Clara, California, in Silicon Valley. Silicon Valley Bank, a subsidiary of SVB Financial Group, is a U.S.-based high-tech commercial bank. The bank has helped fund more than 30,000 start-ups. SVB is on the list of largest banks in the United States. Agilent Technologies is an American public research, development and manufacturing company established in 1999 as a spin-off from Hewlett-Packard. The resulting IPO of Agilent stock was the largest in the history of Silicon Valley at the time. Intel Corporation (commonly known as Intel and stylized as intel) is an American multinational corporation and technology company headquartered in Santa Clara, California, in the Silicon Valley and on 6 Campus Drive, Parsippany-Troy Hills, New Jersey. It is the world's second largest and second highest valued semiconductor chip maker based on revenue after being overtaken by Samsung, and is the inventor of the x86 series of microprocessors, the processors found in most personal computers (PCs). Intel supplies processors for computer system manufacturers such as Apple, Lenovo, HP, and Dell. Intel also manufactures motherboard chipsets, network interface controllers and integrated circuits, flash memory, graphics chips, embedded processors and other devices related to communications and computing. ServiceNow, Inc. is an American cloud computing company with its headquarters in Santa Clara, California. See how Rovi's innovative digital entertainment technology solutions help millions of people around the world connect to the entertainment they love. Ooyala is a subsidiary of Australian telecommunications company Telstra focusing on online video platforms and workflow management systems. Arista Networks is a computer networking company headquartered in Santa Clara, California, USA. Coherent, Inc is a company with headquarters located in Santa Clara, California, United States, with other sites located in the US, Europe, and Asia. It was founded in 1966 by Eugene Watson as a spin-off from laser company Spectra-Physics and converted to public ownership in 1970.